Lava Iris 455 is an android smartphone that made an entry in the market back in May, 2013. The phone comes with Dual-Sim mechanism. If you want to connect your device to a computer or flashing firmware on your device, then you need to download the required USB Drivers for your device. Lava Iris 455 comes with 4.5 inches display supporting resolution of 540×960 pixels. The connectivity medium include WLAN, and Bluetooth. It offers internal memory of 4 GB and also support micro-SD card upto 32 GB. The camera of the phone include 5MP primary camera and 0.3MP secondary camera for selfies. It runs on Android 4.1 and is powered by 1.0 GHz Dual-Core processor along with 512MB RAM. The phone is equipped with 1500 mAh battery to support the power back-up. 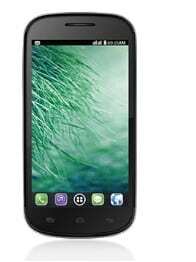 The price of Lava Iris 455 in India starts from 5,000.